There are not many snacks you can make with canned tuna. I think canned tuna is useful when you need to turn out something quick and delicious. Believe me there are many people who are hooked onto deep fried food and this is a perfect snack to give into your cravings and desires. They turned out a tad bit too oily for my liking but that can be rectified by frying them at the right temperature. 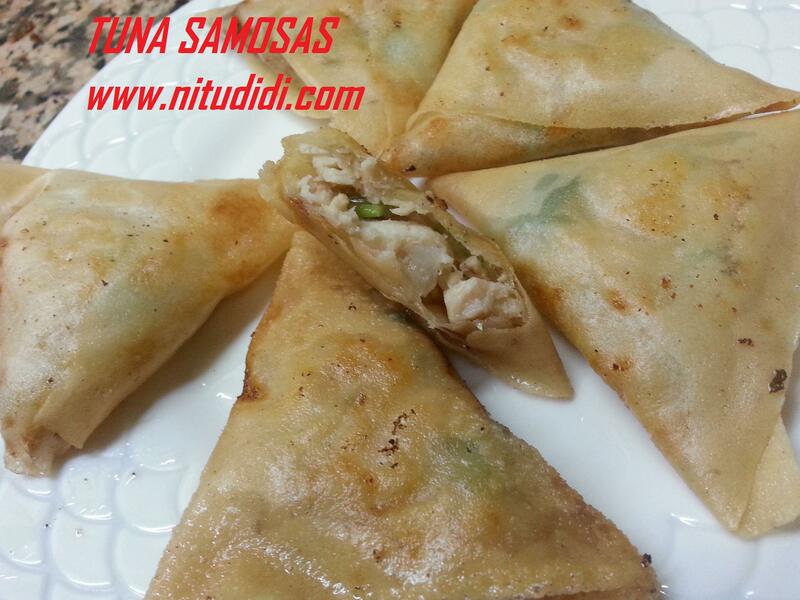 Since canned tuna contains a lot of moisture, care has to be taken while wrapping the samosas ofcourse. I will give you step by step instructions on how to get the best results. Heat the oil and deep fry the samosas. Drain on paper towels. Serve with chutney of your choice. To avoid the samosas from getting soggy and the wrapper melting. Make a few and deep fry them or place them in the freezer to harden a bit and then deep fry. This entry was posted in Fusion, Indochinese, Low Cost, Made in China, Recipes with videos, Snacks, Something's Fishy and tagged tuna samosas. Bookmark the permalink.